If you’re struggling to save money, the reason could be that you’re doing it all wrong. Saving is not a random act. Similar to weight loss, if you are just thinking about it but not following a strict diet and workout, you’re less likely to see results. With that in mind, saving can become easier if you plan it and stick with it. For example, you will need to know your ability and capacity to save. You also will need to know where to trim expenses to maximise your savings. Being strict and disciplined over a long period of time is a must to see results. These steps are often easier said than done. 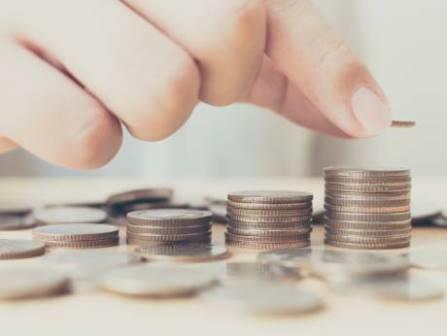 But if you’re serious and willing to put the effort into building a savings cushion or just put money aside for a major purchase, try the following tips. If you’re struggling to make ends meet paycheck to paycheck, saving might sound like a luxury. Many people might feel like their financial situation doesn’t allow for the concept of putting money aside. But the truth is you won’t know unless you take a serious look into your financials. You might find out that many of your regular payments can be scaled back if you shop around. Many people are even surprised to find running payments for services that they don’t use anymore still show up on their credit cards. So before your write off your situation as impossible for savings, take a good look at your expense details. Based on how much and how fast you want to save, you should consider making some tough decisions. For example, you might decide to increase your income by taking a part-time job. Similarly, you may have a conversation with a non-working spouse about getting a job. In some cases, a major downsize in lifestyle or home can be the way to save money. All of these decisions will drive your savings plans. And because you will want to stay on track, you must plan for how to channel your savings out of your running expenses. For example, if you know you will be saving DH2,000 per month by giving up a leased car, make sure you channel this money into a savings account. This way, you will be able to see and eventually reap the benefits of your sacrifice. Many people think of placing their savings aside as sufficient. That is not necessarily the case. If you’re planning to save for several years, you must look for the best savings vehicles for your goals. You probably will want to get the highest yield and lowest risk. Talk to your bank about options like certificate of deposit with varying terms. Make sure you pick the term that matches your timeline. If your goals of savings is to set an emergency fund and long-term cushion of money, split your savings. Pick some vehicle that makes your money accessible like short-term CDs for your emergency fund. So in case you want to access this money, you don’t have to lose the interest. Then set aside your long-term savings in funds that are not necessarily instantly accessible. To build wealth and security, you must be willing to stick with your saving plans for the long run. Don’t get tempted to splurge on a lifetime trip or home renovations, for example, once you see the balance on your bank statement growing. Keep your eyes on the end goal. To help yourself, once you reach a stable, comfortable level of savings, start to treat yourself to luxury spending. Account for improvements and fun activities that matches your lifestyle without jeopardising your savings.